And so, I return once again to playing with maps. The last time I did it, I was sandboxing with Mapbox. That was 3 years ago and, auspiciously, the last post on my old science/tech blog. I’ve recently started mapping dog walks in Whangarei (a post for the very near future), but in the meantime…co-working spaces! It all started a couple of months ago, with an hypothesis of mine that NZ’s co-working spaces could provide a better metric for innovation than patents. In order to test this hypothesis, though, I needed data. I contacted people in the measuring-innovation and co-working spaces, and nobody had a complete list. So, a bunch of elbow grease later, here’s the initial cut. NZ’s co-working spaces (note: this is an ongoing project). Credit: aimee whitcroft, 2017. 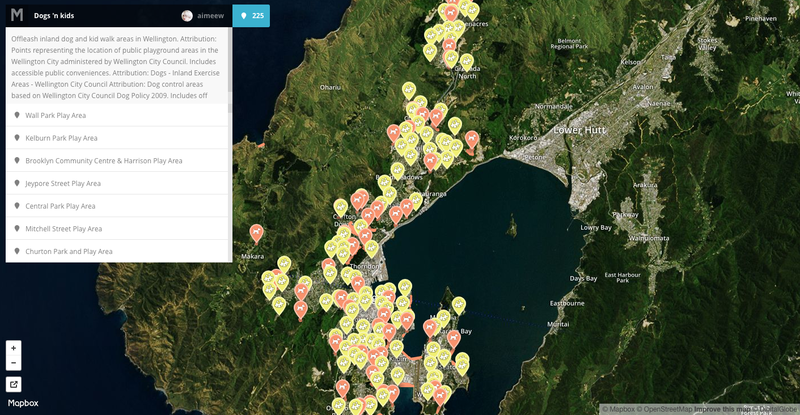 You can download the dataset at aimeew.carto.com/tables/nz_co_working_spaces/public, and there’s an API too. collect oodles of tasty data and start analysing for tonnes of brilliant insights. Huge thanks to Pascale Hyboud-Peron of Basestation in Tauranga, who very kindly saved me a few hours by sharing with me a list she’s been keeping. I then added to it, finding addresses and more co-working spaces with the help of Google and a Facebook post on the NZ Tech Startups Eco-system group asking people which ones they knew of. * This number will keep going up with time. It was correct at original time of publishing. Update: I’ve updated the map and changed the link to and picture of it (the blog post above carries the currently correct link). The number of spaces keeps growing, hooray!